During this ancient period, sometimes called the Eemian, the oceans were about as warm as they are today. Last month, intriguing new research emerged suggesting that Northern Hemisphere glaciers have already retreated just as far as they did in the Eemian, driven by dramatic warming in Arctic regions. 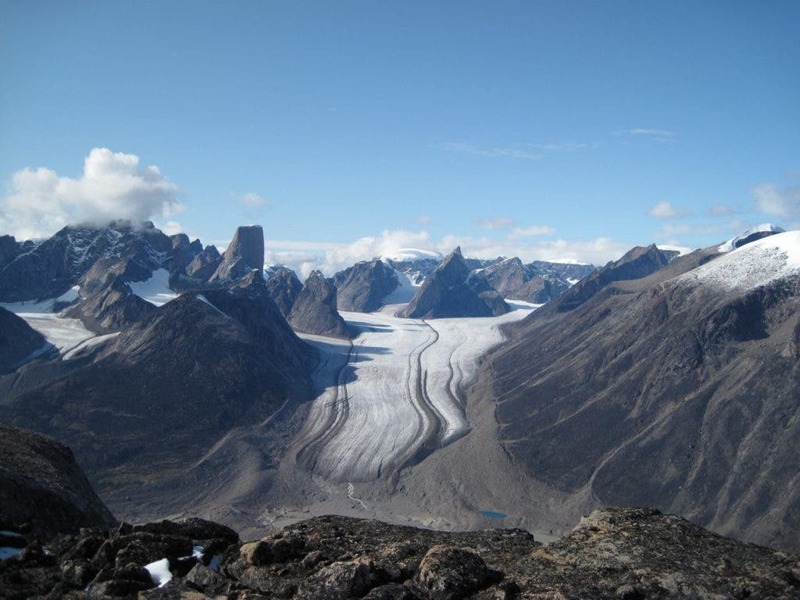 The finding, continues Mooney, arose when a team of researchers working on Baffin Island, in northeastern Canada, sampled the remains of ancient plants that had emerged from beneath fast-retreating mountain glaciers. And they found that the plants were very old indeed, and had probably last grown in these spots some 115,000 years ago. That’s the last time the areas were actually not covered by ice, the scientists believe. The image above shows the Highway Glacier on Baffin Island, Canada.